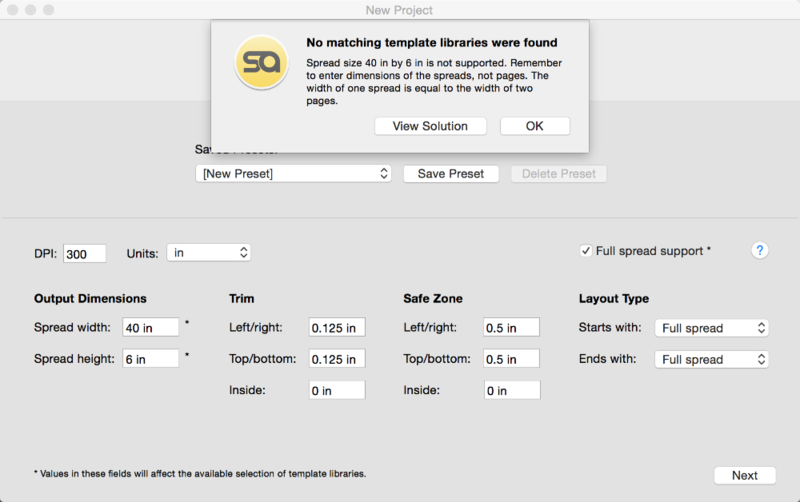 When entering specifications for a custom sized album, you may see a message informing you that "No matching template libraries were found". Sometimes you can resolve the issue by simply updating SmartAlbums to the latest version. Keep in mind that when creating a custom sized album, you are inputting dimensions for spreads, not pages (width of 1 spread = width of 2 pages). Therefore, your width dimensions would double. For example, a 10x10 album would be entered as 20x10 (spread width by spread height). 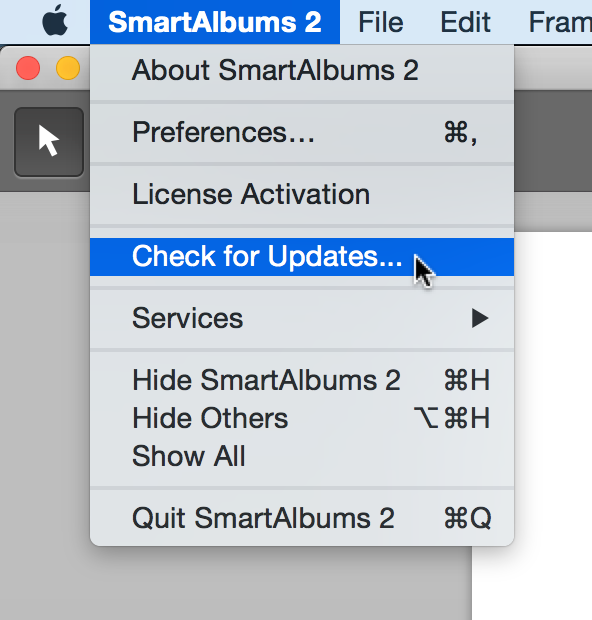 If you are in fact entering album spread dimensions and are still seeing this message, it is because the album you are attempting to build is too "skinny" for Pixellu SmartAlbums 2 to support. An album is too "skinny" when one edge is much longer than another. For example, an album that is 20x6 (40 inch spread width by 6 inch spread height) would be considered too "skinny". 12x8 horizontal album (24x8 spreads). Take the bigger number (12) and divide by the smaller number (8). 12/8 = 1.5. Since 1.5 is less than 2.5, this album size is supported by SmartAlbums. 8x20 vertical album (16x20 spreads). Take the bigger number (20) and divide by the smaller number (8). 20/8 = 2.5. Since the answer is exactly 2.5, which is the limit, this album is in fact supported by SmartAlbums. 20x6 horizontal album (40x6 spreads). Take the bigger number (20) and divide by the smaller number (6). 20/6 = 3.33. Since 3.33 is bigger than 2.5, this album size is not supported by SmartAlbums.